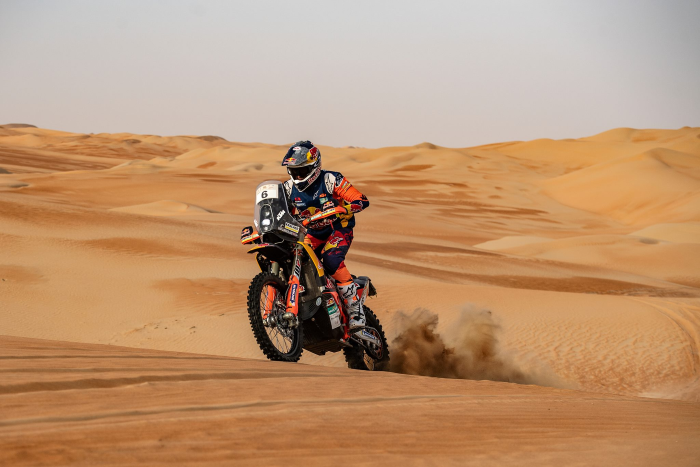 The Abu Dhabi Desert Challenge has been running in the Emirate since 1991, and although only cars were eligible to enter, it has been open to motorcycles since 1995. With eight race wins to his name, all on KTM machinery, the Spaniard Marc Coma is the most successful rider at the event to date, and this year saw another KTM rider taste victory in the sands of the Middle East. Leading the race from start to finish was Brit rider and former Dakar winner Sam Sunderland, who also won in Abu Dhabi in 2017. Supported by Michelin and using their proven Desert Race tyres, Sam recorded an impressive win in the dunes, finishing ahead of his KTM Factory teammate Luciano Benavides who came home in 2nd place. This was also the young Argentinian rider’s first ever FIM Cross-Country Rallies Championship podium finish, and he is certainly showing great promise for the future for both KTM and Michelin. You can find out more about the Desert Race here.